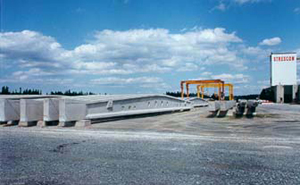 The roof truss beam can be adjusted in length to suit the project span requirements. 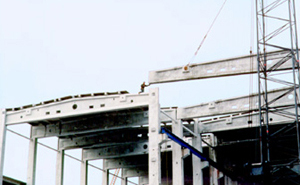 The roof truss beam can accommodate the handling of mechanical services through the openings as indicated in the photographs. For more information, please contact Strescon Limited.